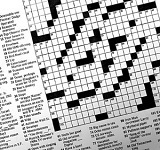 CROSSWORD #1059: Can You Field It? There are roughly, by my ears, ten, probably more, different birds outside my window cawing and chirping at the top of their lungs right now. It's a chaotic symphony, equal parts Philip Glass and Glenn Branca. It's lovely and can really only mean one thing: spring is upon us. Another sign of spring is The Indie 500 which is this Saturday! It's D.C.'s finest crossword tournament. Nay, D.C.'s only tournament. Alas, I won't be able to make it, but maybe you can. Now, I know most of the guys and the gals behind the event, and like I always say, they're okay. You've got tournament directors Erik Agard (fresh off some HBO special), Andy Kravis, Neville Fogarty, and Angela Halsted. Them's good people. They've also assembled a gorgeous batch of puzzles from some up-and-coming constructors. I know because I test-solved the lot. So anyway, it's a fun event, apparently they serve pie. 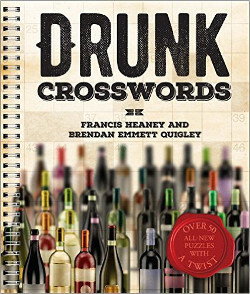 So throw them a couple bucks if you can't make it in person and you'll get the crosswords via email. And you'll keep the alternative puzzling community happy and healthy. All right? All right.